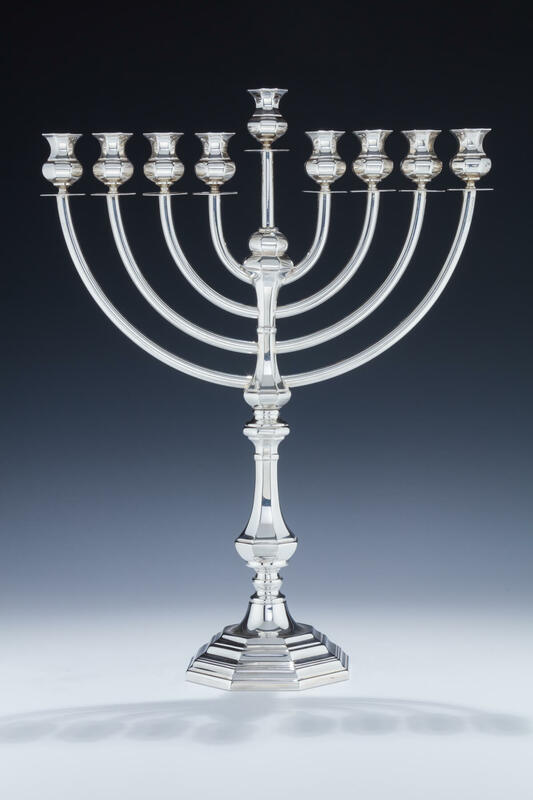 A LARGE STERLING SILVER HANUKKAH MENORAH BY TIFFANY AND COMPANY. New York, c. 1990. In classic form. Signed. 19” tall.